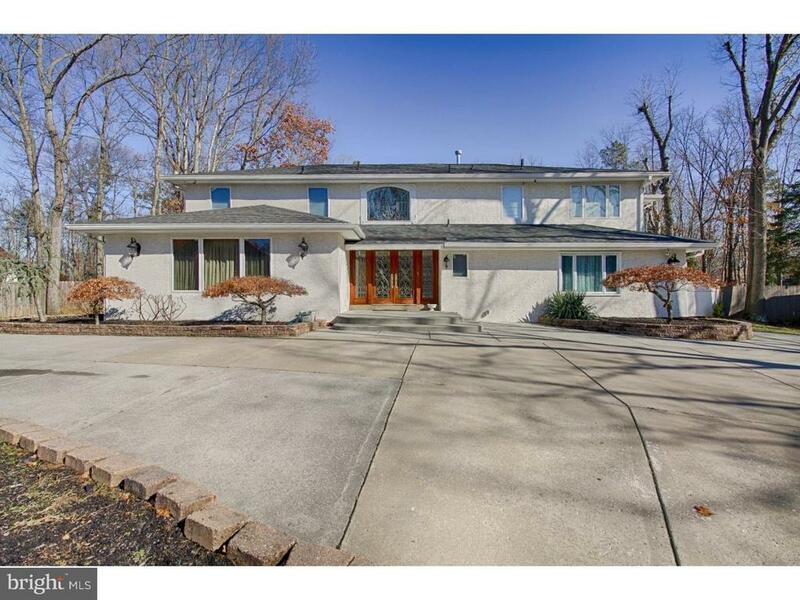 All Voorhees Twp homes currently listed for sale in Voorhees Twp as of 04/22/2019 are shown below. You can change the search criteria at any time by pressing the 'Change Search' button below. If you have any questions or you would like more information about any Voorhees Twp homes for sale or other Voorhees Twp real estate, please contact us and one of our knowledgeable Voorhees Twp REALTORS® would be pleased to assist you. "This is a unique custom built home that brilliantly shows craftsmanship at its best. 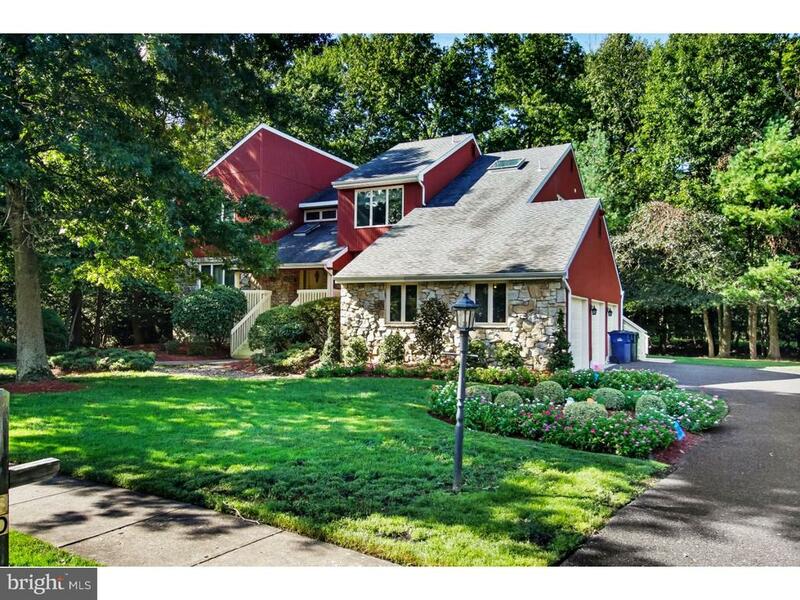 An outstanding property in Voorhees's Lost Tree. Features are as follows: 4 Bedrooms, 3 full baths, 2 half baths, 6,598 interior square feet without counting the full finished basement. There are 5 fireplaces and 4 of them are double sided fireplaces(wood burning with a gas insert)in the home. Expansive foyer with a grand staircase and hand paintings on the walls. There are two custom stained double door one being in the living room the other entering the master suite. The family room offers built-ins and and walk out access to the patio.The kitchen with large center island has 2 dishwashers, 2 sinks with garbage disposals in each sink, 2 cook tops, 2 double ovens and a walk-in pantry. First floor laundry room with a shoot/sewing/mudroom leading into the 3 car tiled floor & heated garage. Dining room has hand painted ceilings and a custom butlers pantry just outside. There are two entrances to the second floor and two entrances to the walk out basement. The Master suite includes an enormous dressing room with walk-in closets and many built-ins, and a sitting room and the end of the dressing room. The master bath offers a steam shower, sauna and a separate half bath. In the basement there is a English Pub with extensive wood work, there is a full bathroom and high ceilings. The wine cellar is temperature controlled, cedar closet and plenty of storage, there room 15 x 15 that can be used as a bedroom or music room (15 x 15) with a walk out patio along the back of the house on that same lower level. There is a large media room with a sitting room which totals (50 x 18) in size. The yard is fenced in with an electric gate, 14 zones of heating, 6 air conditioners, 2 hot water heaters, 3 electrical panels 300 amps, house was built with 14 foundations, 2 x 6 used for outside walls to allow for extra insulation, single pained insulated windows. There is 22 acres that is not possible to be"
"The sellers are offering a $15,000 decorating allowance and/or closing cost assistance. 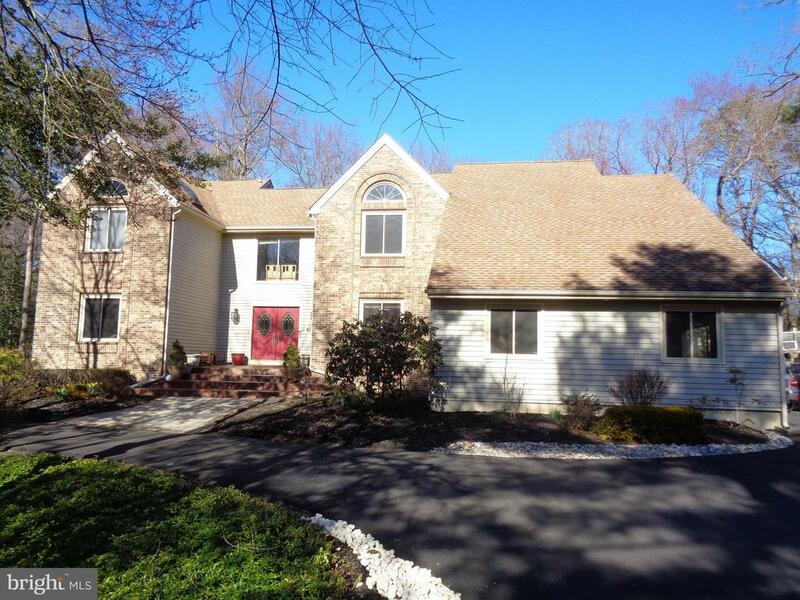 Ever popular 4/5 bedroom, 4 1/2 bath, Christina Model located in one of Voorhees townships most sought after communities, Sturbridge! You will love the grand entry foyer with see-thru fireplace, sunken 2-story family room with built-ins, a gourmet kitchen with granite tops and tile flooring and a sunny breakfast room. The cozy but spacious sunroom allows the mind to relax after a day at the office. There is a grand dining room and a living room completing the main floor. The upper level has a luxury master retreat also with sitting room and re-designed bath, and spacious closet space. The additional bedrooms are also great in size. Don't forget the walkout finished basement with separate office, game room, wet bar, sauna, and full bath. You will love the hardwood floors, the upgraded molding, 3 car side entry garage, all the windows, and natural light. Great home just waiting for its new owners to turn the key!!!" "Alluvium at its finest! Look past the current furnishings and imagine the possibility of this Custom Home. This home features a completely open concept main floor plan with a grand Kitchen/Family/Dining Room combination. The kitchen features high end stainless steel appliances, double sinks and custom cabinetry. The home also features an in law suite with a private entrance as well as 2 other master bedrooms! The home features multiple zoned HVAC as well as a newer roof. The backyard features a patio with an in-ground pool that's great for entertaining. This home is close to major highways and shopping. This is a must see!" "Magnificent Home in the very desirable Lost Tree development. This home sits on almost a full acre and offers a circular drive and side entry garage for maximum curb appeal. It is well set back to present the feel of an elegant Estate home. A beautifully updated kitchen features custom cabinetry, granite counters and high end stainless steel appliances. The breakfast room and adjoining lounging area are always sun filled provided by large windows and doors and the 4 overhead skylights. Large formal dining room. Formal living room with fireplace, a first floor study and family room with fireplace are all equally impressive yet comfortable. Ascend to the upper level on the unique and dramatic staircase to a large open area which separates the master suite and the other bedrooms. The master suite is highlighted by the amazing newly created master bath with freestanding soaking tub, new shower with subway tile and separate his & hers vanities. The three additional bedrooms are large and provide excellent closet space. The large walk-out basement is fully finished and provides a 2nd office, recreation area, gym area, theatre room and a 5th bedroom with a full bathe. The gorgeous grounds are highlighted by a tremendous rear deck overlooking professionally designed and maintain grassy areas and gardens with the privacy and tranquility of mature trees surrounding the property. This Custom home is a one of a kind and can not be compared to other homes in this price range. It is a must see for you home tours. Highly acclaimed Voorhees schools and located in the E.T. Hamilton Elementary sending district. Come visit and be suitably impressed." 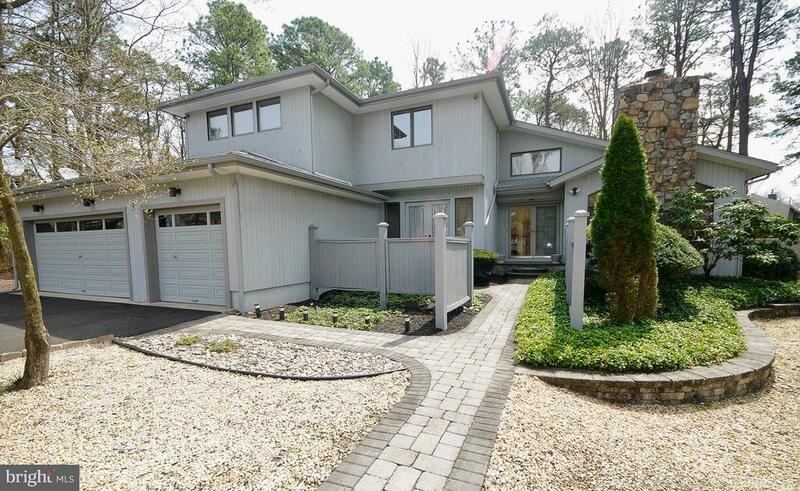 "Very Nicely updated Lost Tree home located on 3/4 acre on exclusive Oak Ridge Drive. This 3,456 sq. ft. home offers a beautifully updated kitchen and master bath, has been freshly painted and sports new neutral carpeting. The large updated kitchen is open to the spacious breakfast room and to the 24' x 16' Family room with stone fireplace. A large screened in porch is accessed though the family room and overlooks the private rear yard which back to protected land. There is a first floor office as well. The Formal Living and Dining rooms are ready for any size family. The Master Suite has an adjoining 17 x 11 Sitting Room that can easily be a 2nd office space or a nursery. The additional 3 bedrooms are nicely sized and share the Updated Hall bath. The large finished basement provides the opportunity for additional living quarters with a full bath and a separate entrance. professionally landscaped. In-ground sprinkler system. Two car garage with 3 garage doors and plenty of storage. Highly regarded Voorhees Schools." "The California Model Contemporary home with its many windows and skylights for lots of sunshine. Home owner just have updated bathrooms, fresh paint and landscaping. You need to make an appointment before it last. Updates : Roof 5 yrs, Skylight 5 yrs, New Bathrooms, New 2nd floor composed deck, Kitchen 4 yrs, New Upstairs Ceiling Fans , Washer and Dryer 1 yr, Driveway 1 yr. Please call Jesse 609-724-6267." 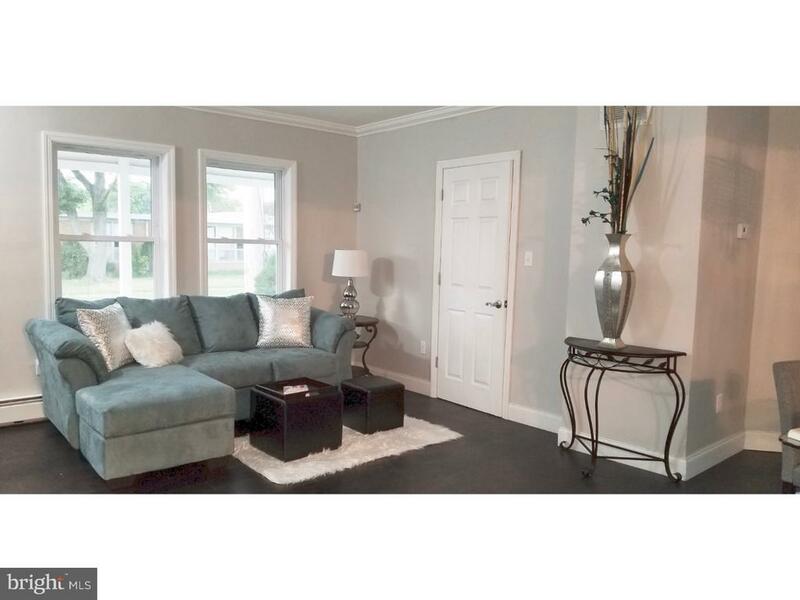 "Here's your opportunity to live in the desirable town of Voorhees at an affordable price. Come see this newly remodeled home. Upon entering the home you will love the spacious and open layout of the living room/dining room. The kitchen has new granite countertops, a backsplash, and new SS appliances. Beautiful chandelier lighting throughout. The bathroom has a modern stand-alone tub and a separate shower with stone flooring. The attic attached to the master bedroom has been transformed into the walk-in closet of your dreams. With one gas and one electric fireplace, enjoy cozy nights by the fireside in the room of your choice. New AC unit, new windows, new hot water heater, new boiler, and more. Excellent school district. Close to shopping and within walking distance of Ashland PATCO station which takes you to Philadelphia and Camden. This home is perfect for any family." "Please stop & take a look at this extremely well cared for home located on a very large lot which can probably be sub-divided. Just a few notes to tell your buyers! There is a deck off the rear of the house with access from the dining room, newer windows, roof approx. 5 years old, newer electric stove, newer bathroom and much more!! Some hardwood floors in most rooms!! Vacant & easy to show!!" 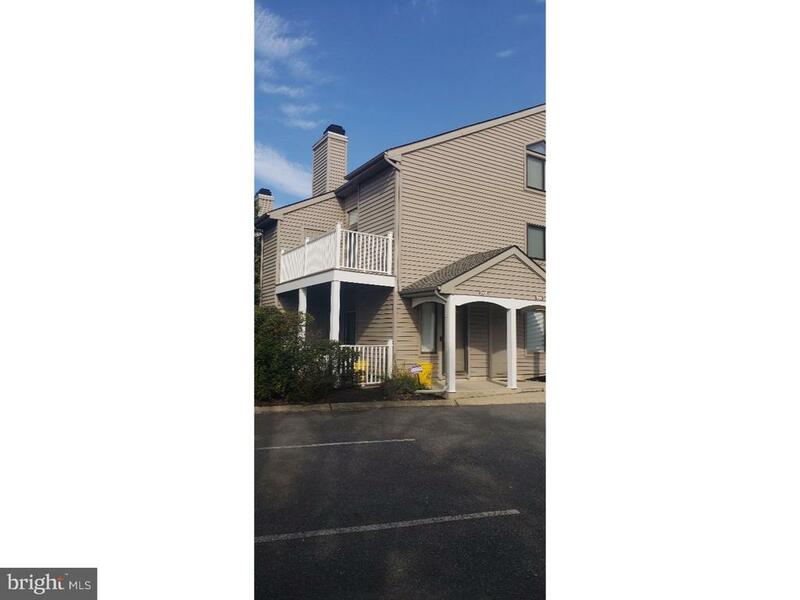 "Many really great features found in this lovely 2 bedroom/ 2 bath condominium. Enter the welcoming foyer entrance to the first level which contains a main floor bedroom, a comfy living room area with a gas fireplace and skylight. There's a bright eat in kitchen with modern appliances, vaulted ceilings, hardwood flooring and additional skylights. The spiral staircase takes you to the second floor which boasts a spacious second bedroom loft with its own full bath and an expansive closet that is accessible to the attic. Other great features include: central air, a laundry area on the second floor, balcony, storage,and parking. This tree lined development is located close to shopping and eateries to suit any palate!"